This season, be kind to your dry, tired complexion with no-nonsense natural products. If you’re like many of us here at 17th South, you’ll be welcoming 2017 along with a slew of New Year’s resolutions. Chief among ours: Be more thoughtful about what we eat and drink (fewer cocktails, sweets and greasy snacks; more fruits, vegetables and water). But the concept of clean eating got us thinking: With so much concern about what we put into our bodies, perhaps it’s time to reexamine what we put on them, too. After all, our skin absorbs ingredients from whatever lotions, balms and salves we slather on, so why not make sure we’re giving ourselves the good stuff? Decoding the myriad skin, hair and body products that exist out there can be overwhelming, so we asked Sara Lamond, founder/ owner of Fig & Flower Natural Beauty, to help take the guesswork out of going natural. What’s great about natural products versus synthetic ones? Using natural products as opposed to traditional, synthetic-laden counterparts is like eating roasted potatoes versus French fries. I think that’s the best way to describe it, since most people have already realized the value of choosing real foods over processed foods. Natural products are like fruits and vegetables for your skin. They are antioxidant rich, bioavailable and potent. Best of all, they are less likely to cause irritation or breakouts, and they are totally safe. What are the best natural remedies for lackluster winter skin and hair? I swear by doing an oil treatment in my hair at least once a week. It’s transformative! 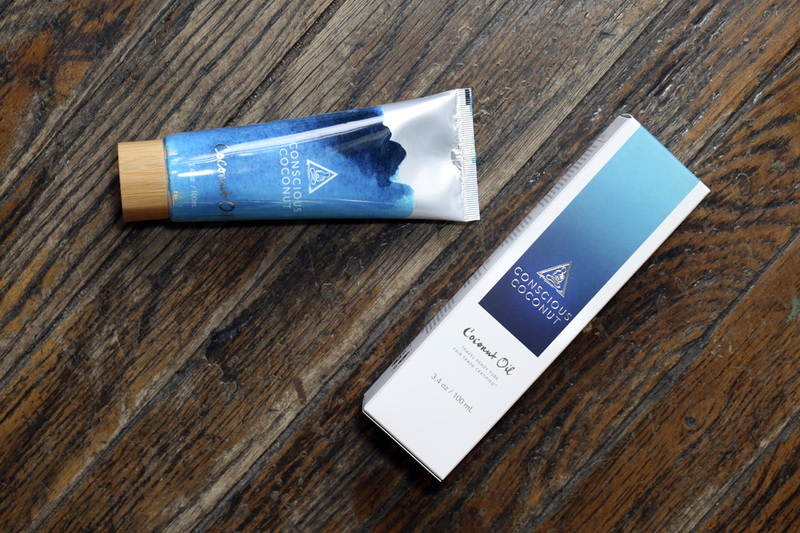 While any oil can suffice, coconut oil smells like a beach vacation, so I opt for Conscious Coconut, which comes in an easy-to-use tube. For skin care, I love pairing a potent serum with a heavier moisturizer this time of year, especially at night. I opt for a serum with Vitamin C, like One Love Organics Vitamin C Brightening Facial Serum. Vitamin C is brightening, giving vibrancy and balancing the tone of dull and discolored skin. Then, I’ll use a heavier moisturizer like Atlanta’s own HollyBeth Organics Rose Geranium Face Moisturizer. At night, I use a generous amount (which, for a product as potent as this, is just a pea size), so I wake up with plump, hydrated skin each morning. Natural ingredients to look for this time of year are butters (shea, cocoa, mango seed), waxes (beeswax, carnauba, orange peel) and sodium hyaluronate (a.k.a hyaluronic acid) that can carry 1,000 times its weight in water. What advice do you have for those who want to make the switch to more natural products but who are intimidated? First, I want to tell that person that I get it. There’s a lot of information out there, and it can be confusing and discouraging. The awesome news is that our bodies are made to detox toxins on their own. That’s the liver’s and the kidney’s job. The issue is that chemicals are so pervasive in today’s world that we are being exposed to chemicals faster than our bodies can detox them. This is known as bioaccumulation. The good news is that, if we can reduce our chemical exposure, our bodies can do the rest. As far as making the switch, each journey begins with a single step! The next time you run out of a product, replace that one item with a more natural alternative. We’re always happy to walk customers through what they’re using, why they might want to switch and what some alternatives are. But if they can’t come to us, there are places such as Whole Foods, or even Target, that carry great natural alternatives. What are your can’t live without natural beauty and skincare products? I’m pretty obsessed with a lot of the products we carry. If I had to choose only one moisturizer to use for the rest of my life, it would hands-down be HiQ Facial Serum, which is made in Atlanta. This lightweight lotion has all the hero ingredients, such as CoQ10, hyaluronic acid and peptides. I also don’t think I could live without RMS Beauty’s Volumizing Mascara. Even if I don’t wear any other makeup, putting mascara on makes me look rested and bright. I’m a self-confessed product junkie. It’s a problem.